In my home summertime means lots of family gatherings. Whether we are having an informal get-together or a huge family gathering, we are always entertaining. I’m always trying to think of fun and unique recipes for our gatherings. I love surprising people with interesting food ideas and it makes for great conversation. For this recipe, I’ve partnered with Pepperidge Farm Puff Pasty to create these delicious S’more bites! Parents will love these because not only are they extremely easy to make but they are mess free! No sticky s’more hands. Place your Pepperidge Farm Puff Pastry cups on a baking sheet and cook for 10-minutes. Take the baking sheet out of the oven and with the handle of a fork or spoon press down the center of the Puff Pastry cup. Place one piece of chocolate in each cup, then add several marshmallows and top with graham crackers. Place baking sheet back in the oven and cook for an additional 5 to 10 minutes. Until marshmallows are golden brown on top. Top with shaved chocolate and serve. Warm is best! I promise you, everyone is going to fall in love with this dish! The Pepperidge Farm Puff Pastry gives this sweet dish just the right amount of buttery goodness. Wondering where I came up with the inspiration for this dish? 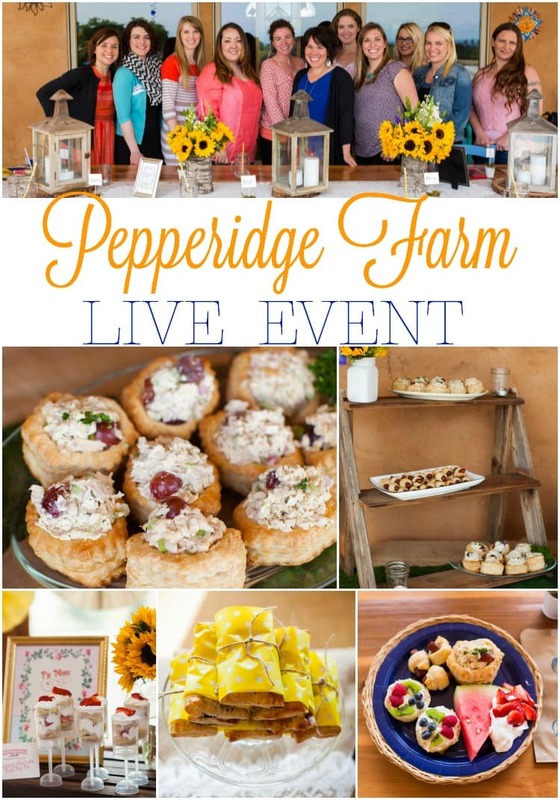 I had the honor of attending a Pepperidge Farm Puff Pastry BBQ party! Not only did I get the chance to network with some amazing local bloggers but I was able to taste a wide variety of Pepperidge Farm Puff Pastry recipes. 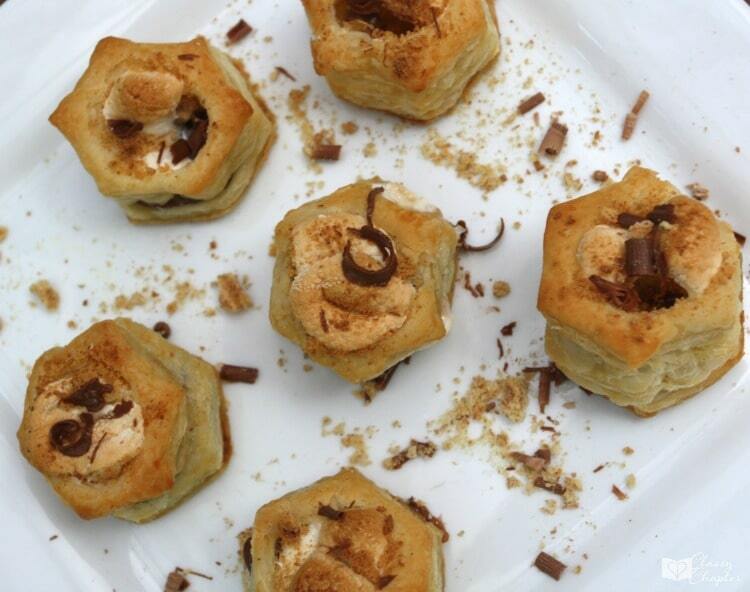 Using Pepperidge Farm Puff Pastry is a fun way to elevate a traditional recipe. The party pictures in the above collage were taken by Leslie Callan from Green Vintage Photography. Every single dish was absolutely amazing, but my favorite was the chicken salad stuffed in Pepperidge Farm Puff Pastry cups. 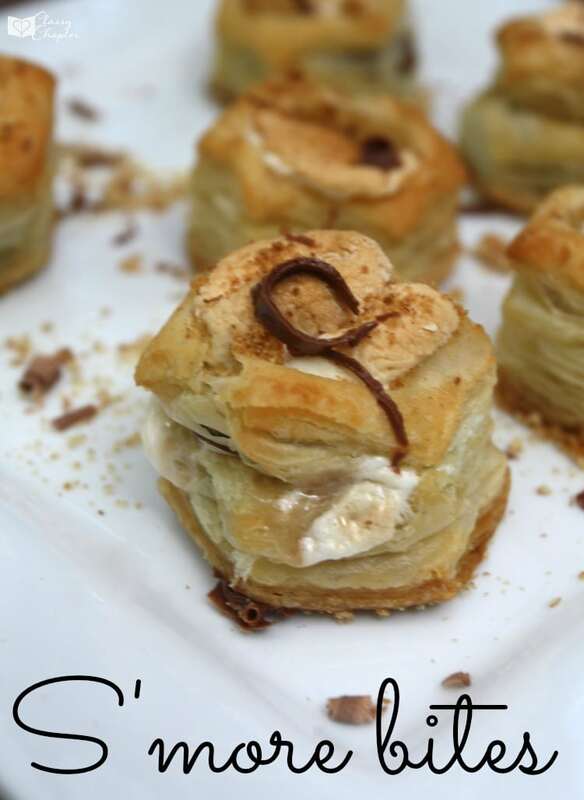 For more fun recipe ideas make sure to check out the Pepperidge Farm Puff Pastry website. 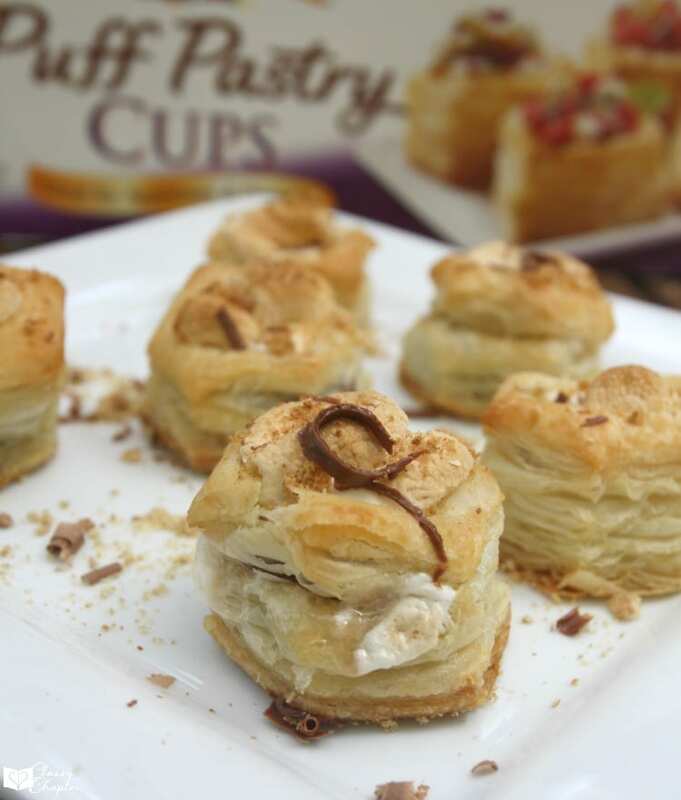 You will find so many ways to elevate your recipes using Pepperidge Farm Puff Pastry. Pepperidge Farm Puff Pastry can be found in the freezer aisle of grocery stores nationwide. The Pepperidge Farm Puff Pastry Sheets retail for about $4.95 and Pepperidge Farm Puff Pastry Cups retail for about $3.88. 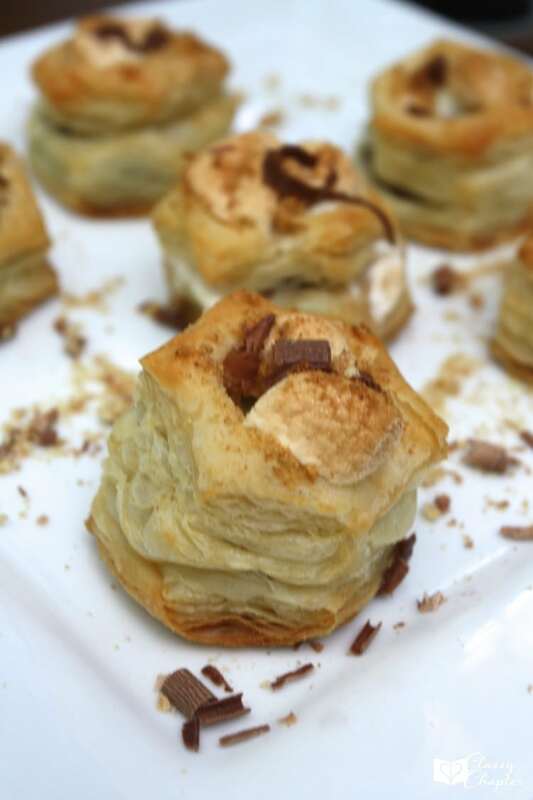 The next time you are hosting an event make sure to create a unique recipe using Pepperidge Farm Puff Pastry. It’s a blank canvas and the recipe possibilities are really limitless. These make s’mores look fancy!! Looks like an amazing event. I bet these are so good. I love puff pastry. I love puff pastry recipes. I’ll head over to find a few more. Thanks for sharing yours! It was so fun! The food was amazing. I was checking out the recipes on the Pepperidge Farm Puff Pastry site today and was so impressed. So many fun things to cook. 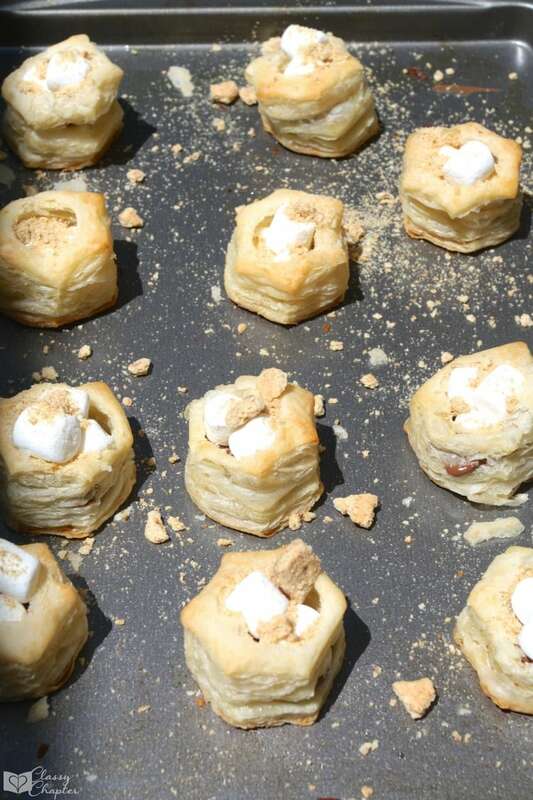 I really should buy some pf those puff pastry cups and keep them on hand–I probably will not make the s’mores (although they look delicious) but rather individual tuna or chicken pot pies for single me!! I had chicken salad in them and it was amazing! Tuna would be really good. Those sound amazing. What an awesome dessert idea this is. I know that my kids would love these. Wow these look so yummy. I basically love S’mores in any way, shape or form. This is a great way to serve them. Yes, I’m addicted to S’mores. So yum! Oh my gosh I love Smore’s!! These look amazing and would be a great treat for a get together! They are perfect for a snack size bite that’s mess free! And the kids love them! oh yummy loving the recipe and how delicious these look like, I have never made them before so would love to try them. That does sound like the perfect way to use those puffs. S’mores flavors always bring back childhood memories. Those looks ahh-mazing! My family loves smores. This would be perfect for us. They were so good! I’m going to make another batch when the kids are gone this weekend! Awesome treat, I could get some bites right now, looks delicious! My kids would lo=ve these! This one looks yummy and great recipe. I’d love to try it. This one looks yummy and great recipe. My niece would love this I’ll try it thank you. Two things I like about this is one it comes in bite size and is not overwhelming to eat. It can be such a great dessert for sweet tooth like me. Wow, that looks so delicious! It has been ages since I have had smores. That shall change soon! Yum! These looks so good! I will definitely have to make some of these with my daughter. Such a fun spin on traditional smores. These look so tasty! Well I’m going to need these immediately. Smores are my FAVORITE. I would love to make this myself! We love S’mores here at home and we love S’mores recipes too, specially ones that are easy to do. These look amazing! What a fun opportunity!